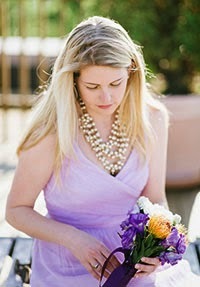 This week's picks were inspired by this holiday dress I just couldn't live without from Anthropologie. I was on the fence about the purchase at first but then decided I couldn't live without this beautiful petal pink, sequined confection. It will be the perfect party dress for the holidays and for springtime fetes. 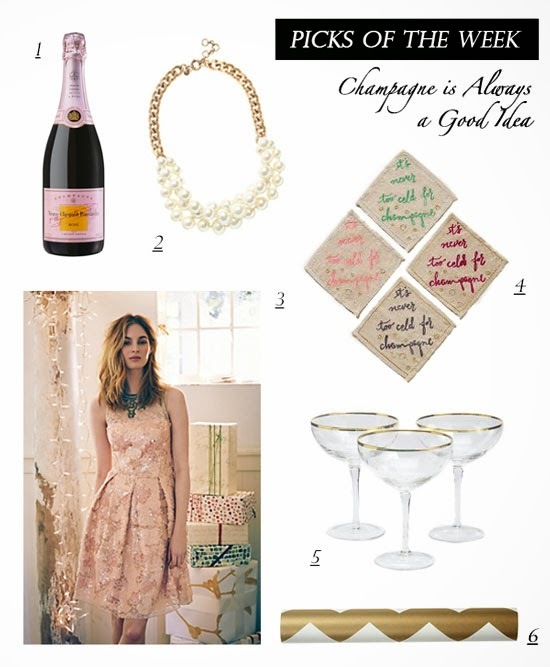 For some reason this dress brings to mind Champagne Rose and Champagne is always a good idea! Please ignore the poor choice of model in the image below. She looks like she needs a hamburger or maybe some True Blood. I'm not quite sure which. At the very least, a hairbrush. Rest assured, the dress looks amazing even on a regular human.